Saint Laurent taps a new face for the launch of its spring 2018 campaign. 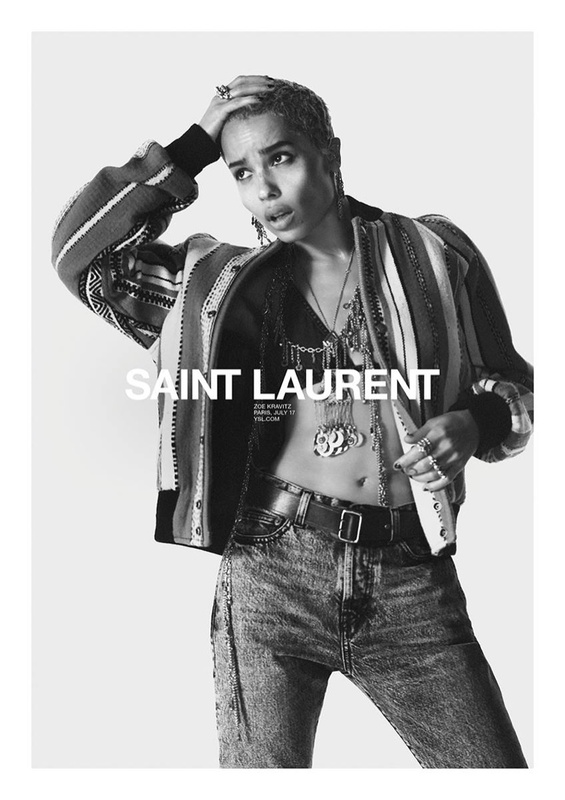 Actress Zoe Kravitz appears in a series of black and white images captured by David Sims. Photographed in the studio, the advertisements spotlight denim, feather embellished dresses and fringed boots. 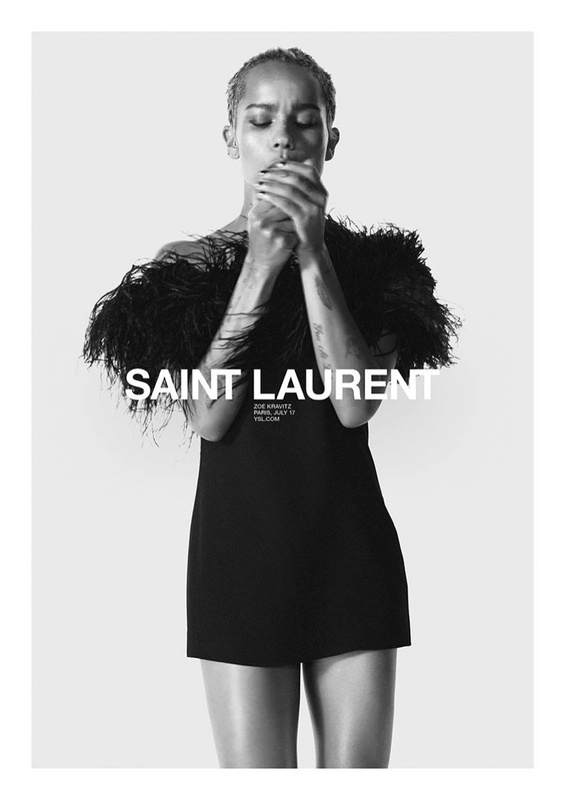 Creative director Anthony Vacarello's cool yet luxurious designs stand out in the minimal portraits.